Is buying short sale homes a good option for you? When I was young, I owned a pair of rollerskates. 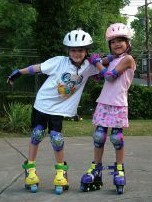 But a few months later, a new kind of rollerskates came to the market: the rollerblades. Since I wanted a pair of rollerblades really badly, I convinced my mom that if I sold the old ones, I could buy the new ones (YAY!). But, there was a caveat: My mom had to pre-approve of the price that I sold the old rollerskates before I got rid of them (and I naively thought that I could get rid of them for a couple of bucks…). A short sale is the sale of a home that requires the pre-approval from the bank that holds the mortgage on the house. The bank does not own the house (it just “owns” the mortgage loan) and the bank stands to lose a fair amount of money by selling the home “short”; that is, selling the home for less than the amount of the outstanding loan. Since the bank would receive less money than it’s owed, the homeowner (i.e. the seller) needs to get the bank’s approval to sell the home. This approval is a “third-party approval” since the bank is a “third party” to the buy/sell transaction. If Jack is to sell the house, since the bank would get $15,000 less than what he owes (and he has no cash to pay the difference), he must get approval from the bank to sell the house “short”. And because short sales are distressed sale situations, many buyers consider them to be -possibly- a good deal. As I mentioned earlier, in order to sell a home “short”, the bank who holds the seller’s mortgage must grant the seller an approval to sell the home. As you may imagine, a bank isn’t very motivated to receive less money that it’s owed, so getting a short-sale to go through can often take a very long time. If you are in a rush to buy a home or are on a specific timeline, a short sale might not be for you. Getting approval from a bank can take a very long time (i.e. several months). 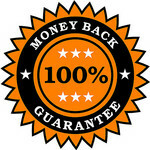 Plus, there are no guarantees that you will get a response in any specific timeframe. So it becomes a game of “wait and see” – without any status updates. In some instances, after several months of waiting, the approval doesn’t even come through and the buyer must start from scratch to find a new home to buy. Sometimes, after several months of waiting for an third-party approval to come through, the response is negative or the home gets pulled from the market. As a buyer of a short-sale, it’s important to make sure that the short-sale process is solid in order to avoid losing the property on a technicality. One way to ensure that the process is solid, is to have your Buyer Agent (your REALTOR®) or a Real Estate Attorney have extensive experience negotiating short-sales. A good REALTOR® or attorney will also ensure that the listing agent is experienced in following the process properly so that the sale can have the highest probability of going through. There are courses that REALTORS® can get certified on, such as the “Certified Distressed Property Expert -CDPE” or the “Short Sales & Foreclosure Resource – SFR” that give them a good start to know how to work through these kinds of sales. A few months ago, Lauren and Jack wanted to buy a townhome. They saw a few homes they liked, and made a couple of offers but they got outbid by other buyers. So, they decided to look into the available short sales (Since buying a short sale isn’t for buyers who are in a rush or that need an assurance that they can actually move into the house in a specific timeframe, the competition for short sales is slightly less than for “regular” sales – and even for forclosure sales. ). Because Lauren and Jack weren’t in a rush to buy a home, they decided to make an offer on a short sale home they liked. Maggie, their buyer agent, had over 20 years of experience with distressed properties, so she was a great resource for them. Further, the listing agent of the townhome was an experienced short-sale negotiator who did a wonderful job dealing with the paperwork. In the end, the short sale got approved and Lauren and Jack were able to buy a home for a good price. 3. You give yourself the best chance of success by working with a REALTOR® with a CDPE or SFR designation; or an attorney experienced in negotiating short sales. Log into the Home by School county map to find short sales in Fairfax, VA – in your desired school boundary. See you on the other side! Are Foreclosures in Fairfax, VA a good deal? 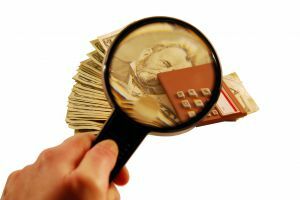 3 Ways a Buyer Agent can save you from losing money How Caveat Emptor affects you (or what does “buyer beware” mean in Virginia)? Buying a short sale home is absolutely a great way to take advantages of current real estate market!